National Rabies Awareness Day is September 28th. Rabies is a fatal disease of warm-blooded animals to which there is no treatment. It is also a highly zoonotic disease, meaning it can be transmitted from pets to humans. Transmission is most commonly by a bite from an infected animal. Clinical signs and presentation of an infected animal include change in behavior, lethargy, fever, itchiness at site of exposure, difficulty swallowing, drooling, voice or bark change, dropped jaw, paralysis and seizures. Risk factors include coming in contact with any wildlife, especially raccoons, skunks, bats, foxes and mongoose. 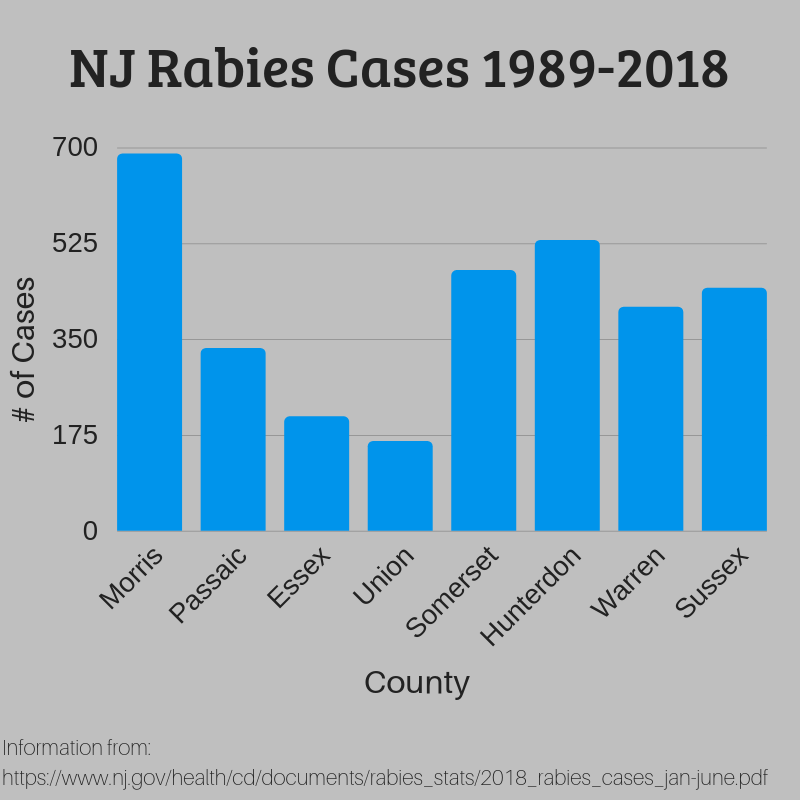 As you can see on the graph to the right, Morris County has the highest incidence of rabies cases out of all of the counties bordering us. Most of those cases were raccoons and other wildlife, however dogs and cats have been infected in our county. This is why it is extremely important to keep your pets up to date on their rabies vaccines and only let them outside while supervised. Click here to see more rabies statistics from NJ.gov. When our pets are not vaccinated against rabies, it leaves them susceptible to this devastating disease. As a result, it is very important to make sure our dogs and cats stay up to date on their rabies vaccines. All dogs and cats should be vaccinated for rabies after 12 weeks of age. Dogs and cats are then boostered in one year followed by every 3 years for dogs. For cats, we recommend using the Purevax 1 year vaccine throughout their entire lives. We recommend the Purevax vaccine for cats because it is a safer vaccine for our feline friends to receive. If your pet does come in contact with a suspected rabid animal your pet will receive a rabies vaccine booster and need to be quarantined for a specified amount of time. It is important for owners to keep pets from roaming outside and to always keep pets on leashes to prevent contact with potentially infected wildlife. In addition, the state and/or local police should be contacted if your pet does come in contact with a suspected rabid animal. Finally, all pets should be brought to a veterinarian immediately if exposure is suspected. If a human becomes exposed, they should immediately contact their human physician.  If you have any questions regarding rabies or want to make sure that your pet is up to date on their rabies vaccine, please call the office at 973-887-0522.